WASHINGTON -- As Chrysler LLC and Fiat Group pursue a global partnership, the automakers are walking a fine line in the U.S. capital. Chrysler needs federal loans to keep operating, company officials say. But giving U.S. taxpayer money to an automaker tied to an overseas-based company will raise red flags, officials here concede. 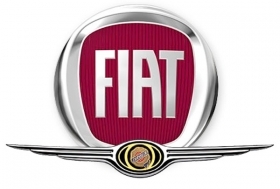 In announcing their planned partnership Tuesday, the two automakers said Fiat would provide management services supporting Chryslers submission of a viability plan to the U.S. Treasury, as required. Fiat plans to take a 35 percent stake in Chrysler. Chrysler received a $4 billion federal loan on Jan. 2. Last week, the Treasury Department announced it would provide $1.5 billion in aid to the automakers captive finance company, Chrysler Financial. Chrysler LLC wants an additional $3 billion in federal aid to keep operating. Chrysler is required to win that additional funding as a condition to the Fiat arrangement, several news outlets reported today. is an important part of it." Chrysler officials have insisted that they never asked for the federal funds in chunks. They sought the full $7 billion when they submitted their loan request to the Senate Banking Committee in early December. Chrysler and General Motors are required by federal loan agreements to submit restructuring plans by Feb. 17. Those plans are supposed to show how they intend to be viable for the long term. A so-called car czar designated by President Barack Obama is to decide by March 31 whether the restructuring plans are credible. Otherwise, the loans could be recalled, possibly forcing the companies into bankruptcy. The outgoing Bush administration set the loan terms.Obama has not indicated whether he intends to change them. Separately, Fiat would get three of seven seats on Chryslers board as part of the transaction, Bloomberg reported, quoting a person familiar with the deal. And a source close to Fiat told Reuters that the Italian automaker will decide within a year whether to take another 20 percent of Chrysler for $25 million. The initial stake 35 percent stake will not cost Fiat any money. Within the next 12 months, Fiat will decide whether Chrysler has a chance to survive as a going concern, said the source, who spoke on condition of anonymity while confirming newspaper reports about the size and value of the extra stake. By offering Chrysler access to its technology as well as markets overseas, Fiat is seen helping the U.S. automaker present its business plan to the U.S. government. In exchange, Fiat will get access to the U.S. market, where it has long been absent. Chrysler is 80.1 percent owned by private-equity firm Cerberus Capital Management LP.